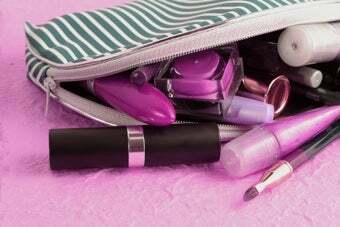 This week's Beauty 101 is focusing on packing the perfect travel bag, whether it's for a vacation, an office drawer, or an overnight stay. While lying in bed last night thinking about my trip to visit my boyfriend (who is away at work), I was trying to come up with simple beauty routines for overnighting with him. How can I style my hair before bed without waking up looking like I stuck my finger in an electrical socket? What can I do re: my face/makeup to prevent an unsightly pimple in the morning? Morning breath? Freshening up with limited (hotel) products? What are some beauty essentials I can take, without looking like I brought everything but the kitchen sink? I feel like I need some tips. Think you can help design the perfect to-go makeup kit? Please leave your tips and tricks and product recommendations in the comments. A roundup of your answers will be posted tomorrow.